The Government has announced new stamp duty measures for first homebuyers, being that stamp duty (land transfer duty) will be abolished for first-home buyers purchasing a home with a dutiable value of not more than $600,000. This replaces the existing first-home buyer 50 per cent duty reduction that applies to the purchase of a home of not more than $600,000. 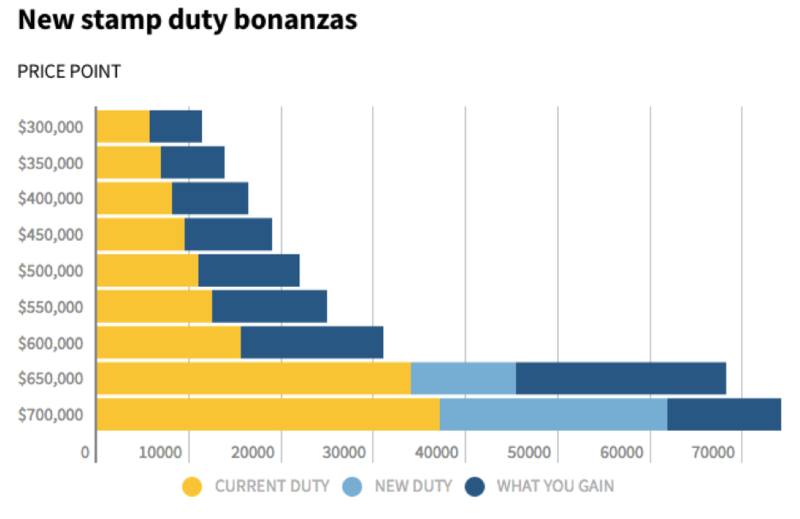 The stamp duty exemption will apply to new and existing homes (including houses, townhouses, apartments and off-the-plan dwellings) that cost under $600,000 and are lived in for at least 12 months (i.e. Investment properties are not eligible). 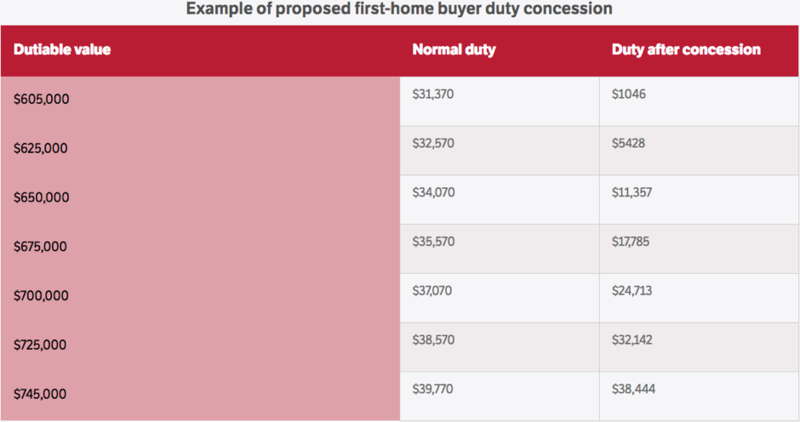 There will also be duty exemption for first-home buyers who purchase a home with a dutiable value between $600,001 and $750,000 via a phase-in concession, the value of which decreases as the price of the home purchase increases. What are the implications for Homebuyers? The government says the exemption, which starts on July 1 this year, will benefit about 25,000 first home buyers every year, resulting in an average of $8000 worth of savings for new or existing homes. Given the median house price in Victoria is $795,447 it is likely that the benefits will encourage many first homebuyers to purchase further out from the CBD or into higher density living such as units and apartments. This will likely further contribute to growth in suburbs in the outer growth areas, such as Mernda where populations are already growing strongly. Overall, any housing price assistance, all other factors being equal, can only lead to further increases in the value of housing in Victoria and we expect the increased purchasing power for first home buyers to be temporary as the market moves up to compensate. The increased buying power of first home purchasers will allow them to compete with property investors in affected price bands, potentially reducing investor yields. Another initiative affects off the plan investors. The new plan means they pay stamp duty on the full value of the property, not just the land value, when buying off the plan. This could add up to $29,000 to the cost of an inner-city apartment for investors and is thought to be one of the drivers of off-the-plan investment evidence by about 43 per cent of all flats and apartments in Melbourne being owned by investors. As a comparison, investors own only 11 per cent of freestanding homes. This is also a major concern for apartment developers, many of whom rely heavily on off the plan purchases to make their projects financeable and enabling them to proceed with construction. The Property Council of Australia Victorian Executive Director Sally Capp suggests that investors are responsible for pre-purchasing more than 50 per cent of off-the-plan apartment developments. This will only further dampen the outlook for Melbourne’s apartment market in the near future. While the changes actually support our own investment thesis that Melbourne’s growth suburbs will continue to grow due to affordability and product fit, we still would advocate the outlook of our property market shouldn’t be assessed based on isolated initiatives or policy changes. What we do feel it is important to comment on is that policy that focuses on increases purchasing power will in fact, have a negative effect on the issue it is trying to solve, hurting housing affordability if not in the short term, then in the medium to long terms. Do you have further questions about the implications? Interested in reading more OYOB content?